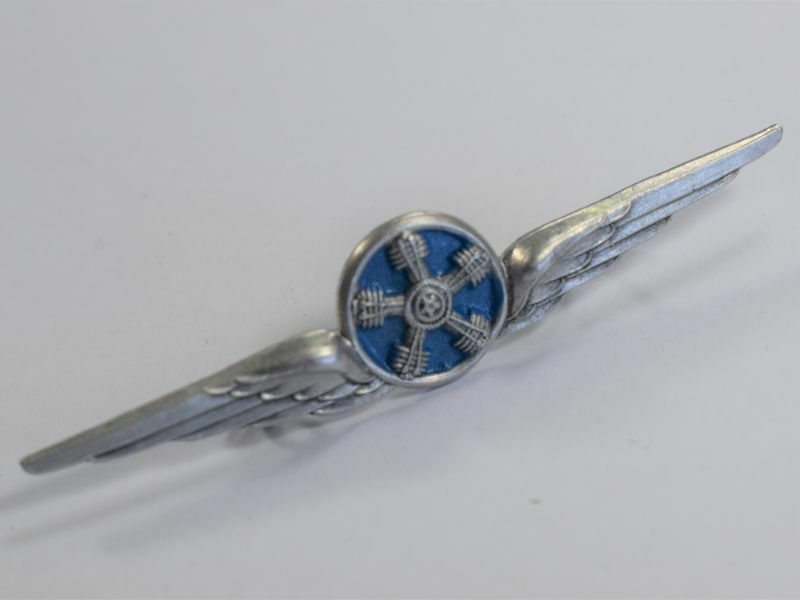 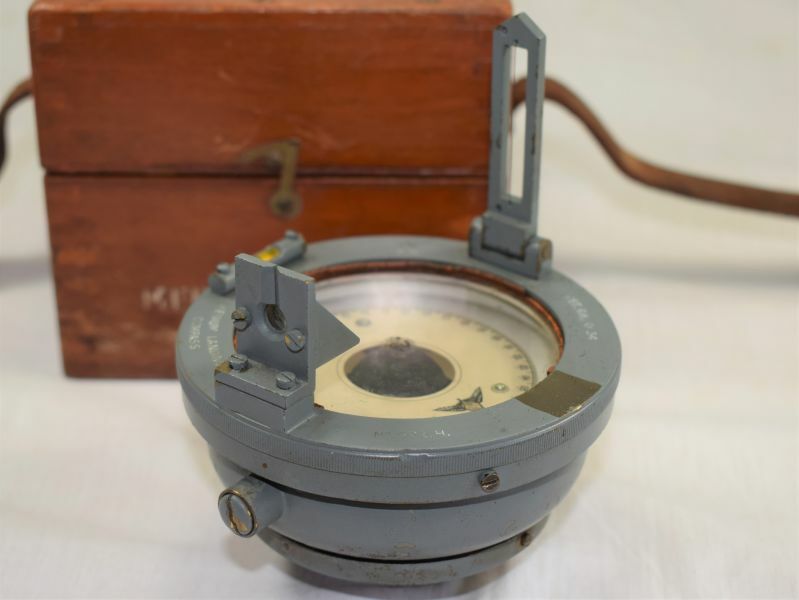 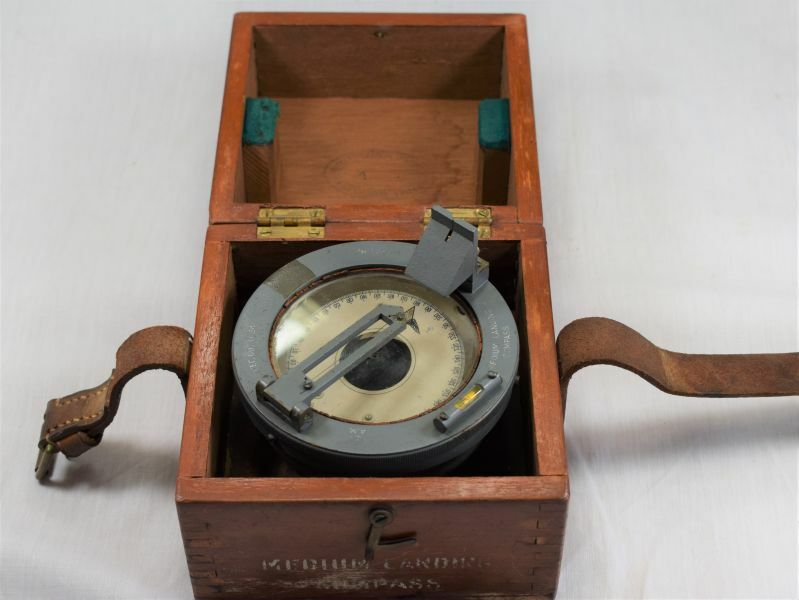 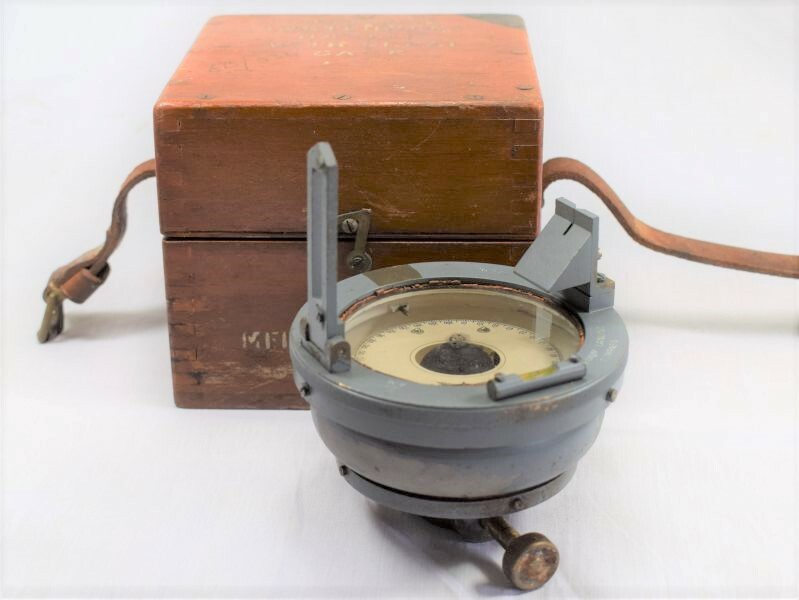 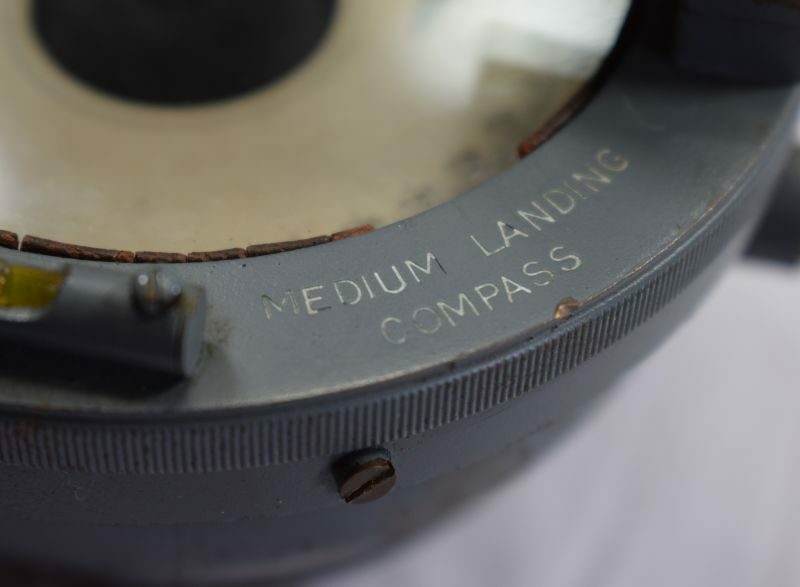 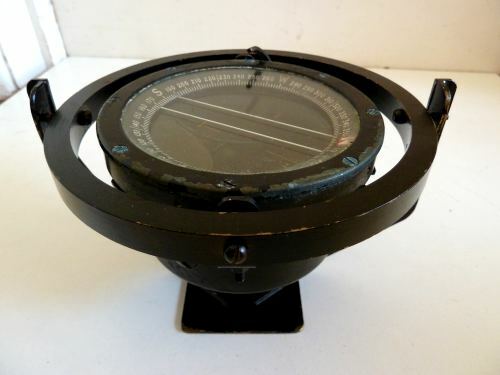 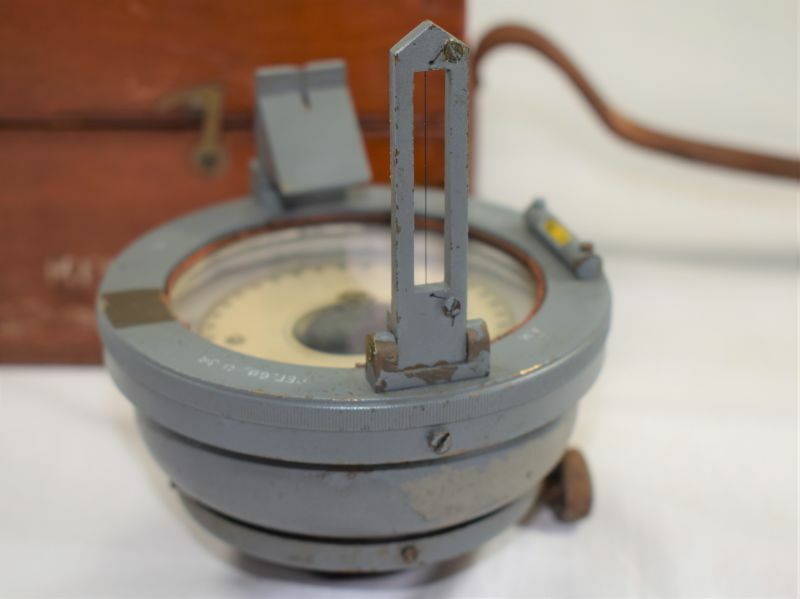 A very nice original early WW2 small medium landing compass, the compass is in excellent order, the inside is nice and clear but empty of fluid and has clearly been empty for years, possibly done when put in storage. 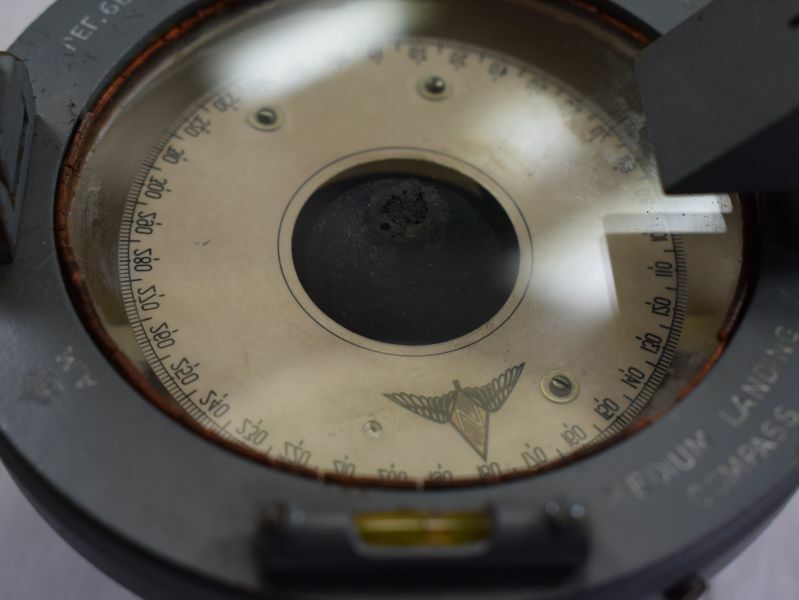 The dial is in lovely order, the main prism is in good order as is the flip up sight. 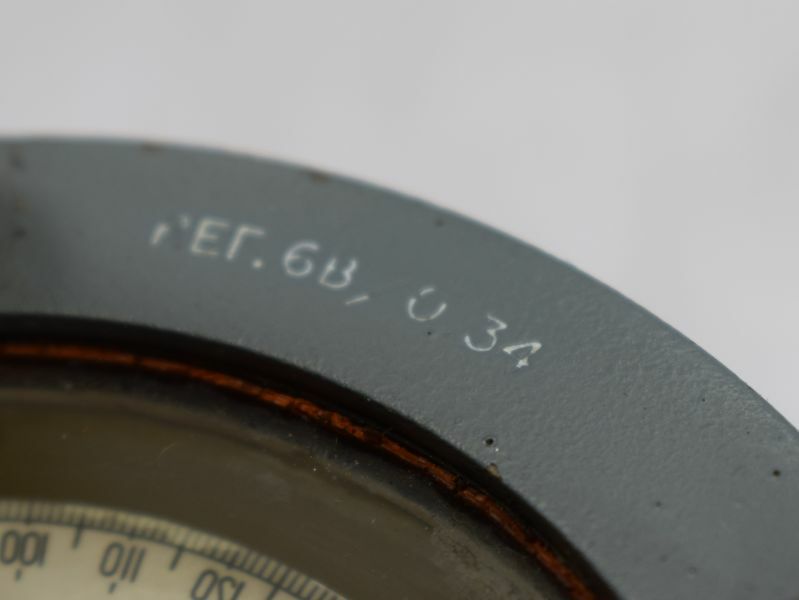 The spirit level is again excellent and the spin dial is nicely AM marked along with RAF Ref number 6B/O.34, we believe that the O most likely stands for Observer. 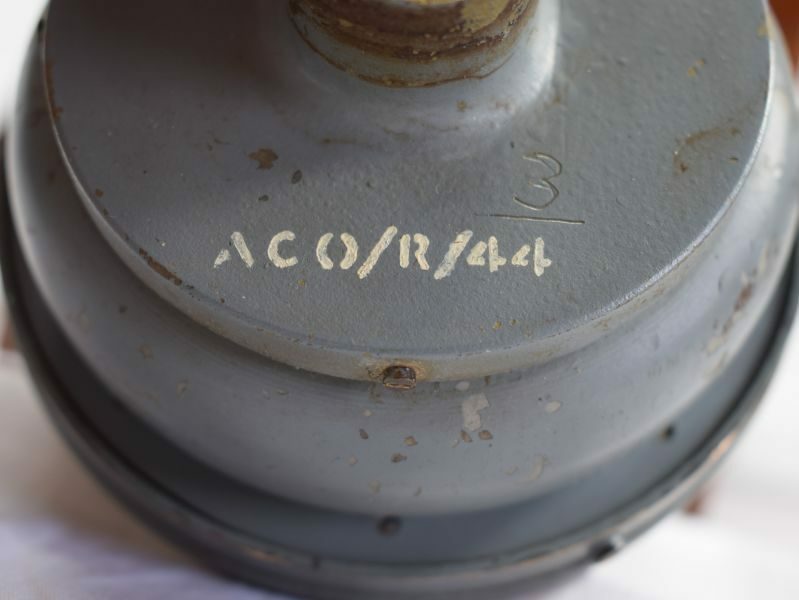 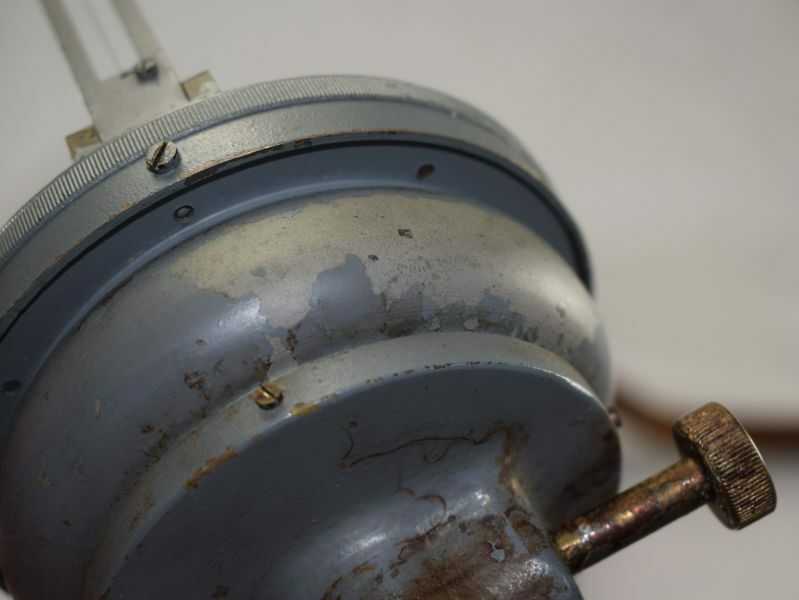 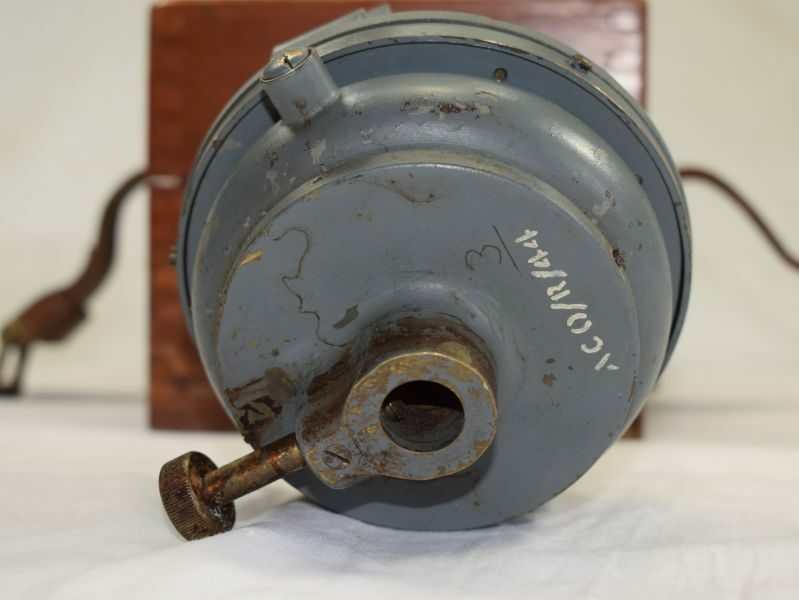 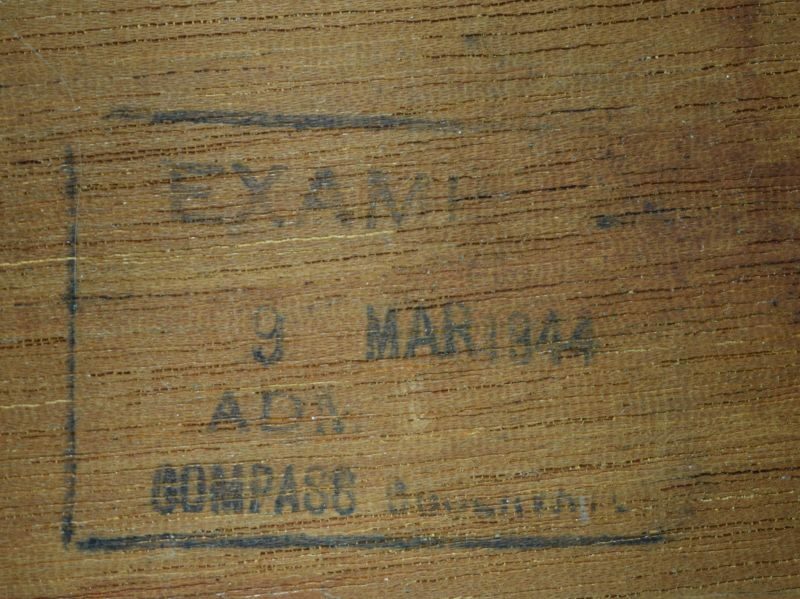 The rest of the compass is in place and good, there is some minor paint loss to the underside but nothing bad, the base has a 1944 date to it which is presumably when it was serviced. 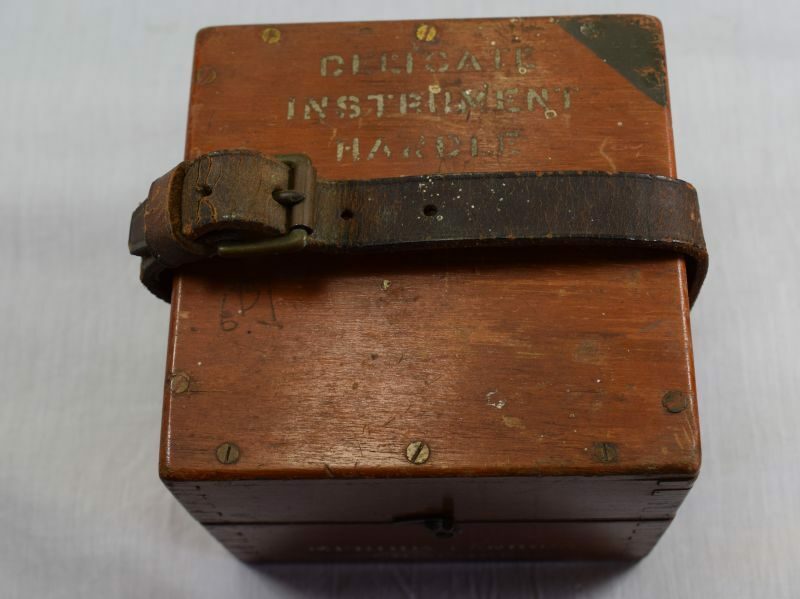 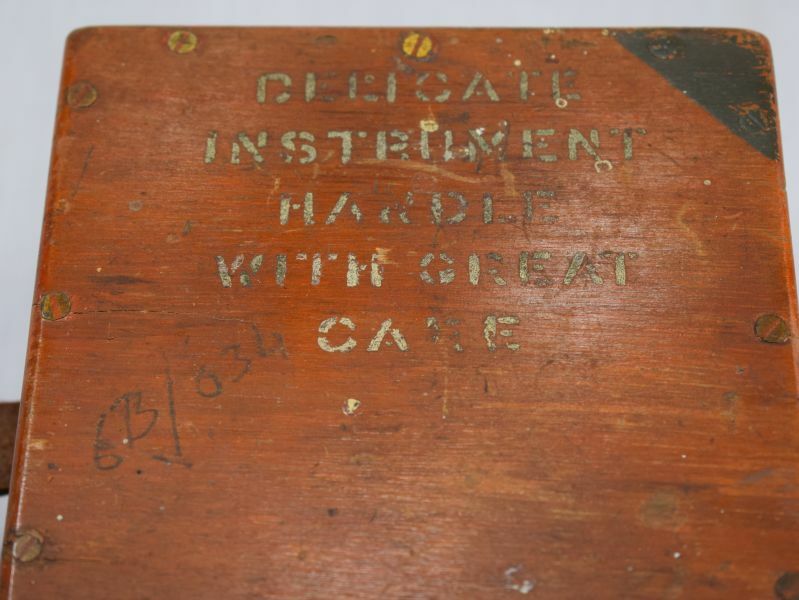 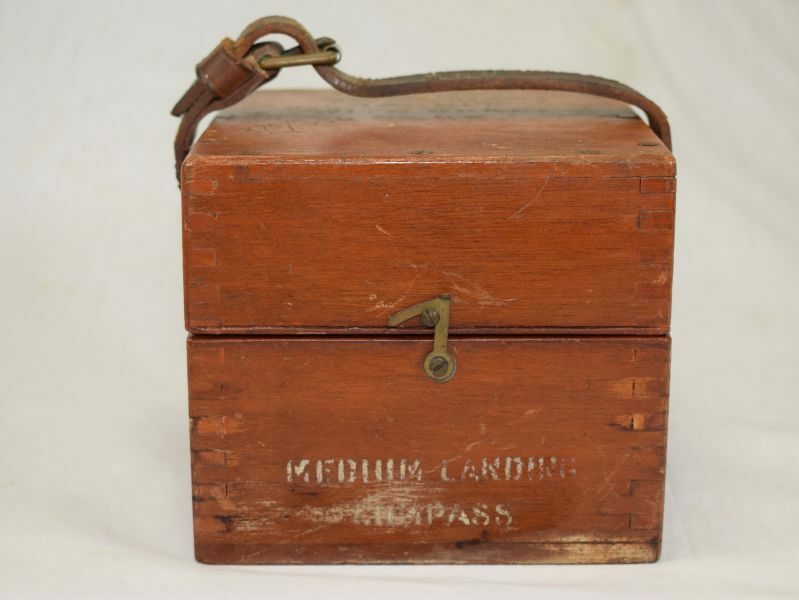 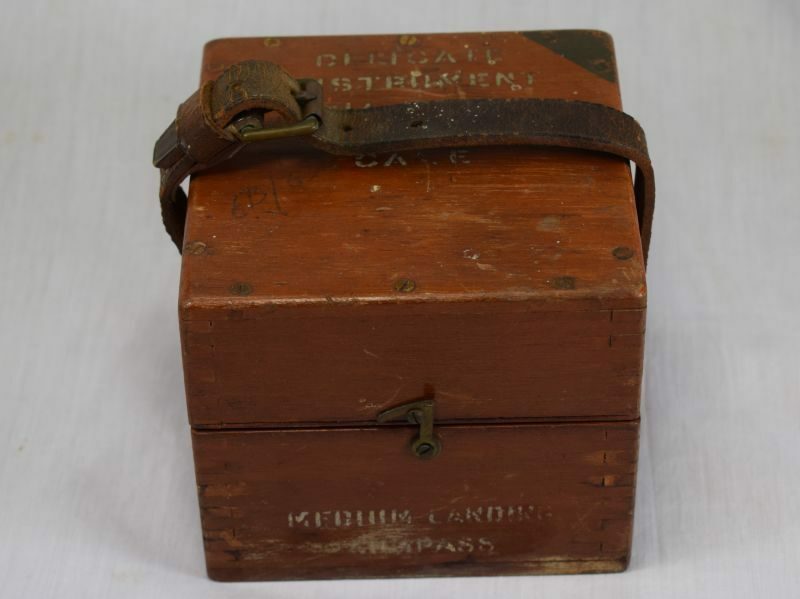 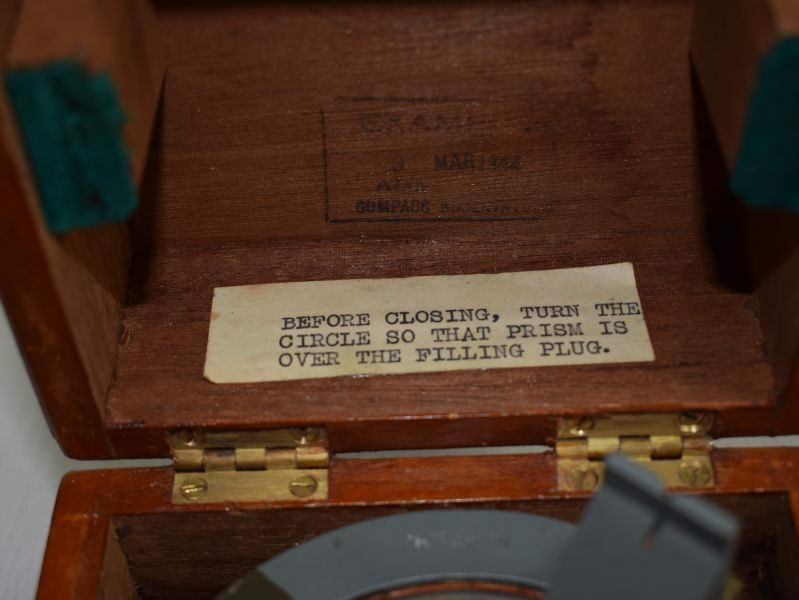 It comes in its original mahogany storage box, which is in nice order and complete with original closure strap. 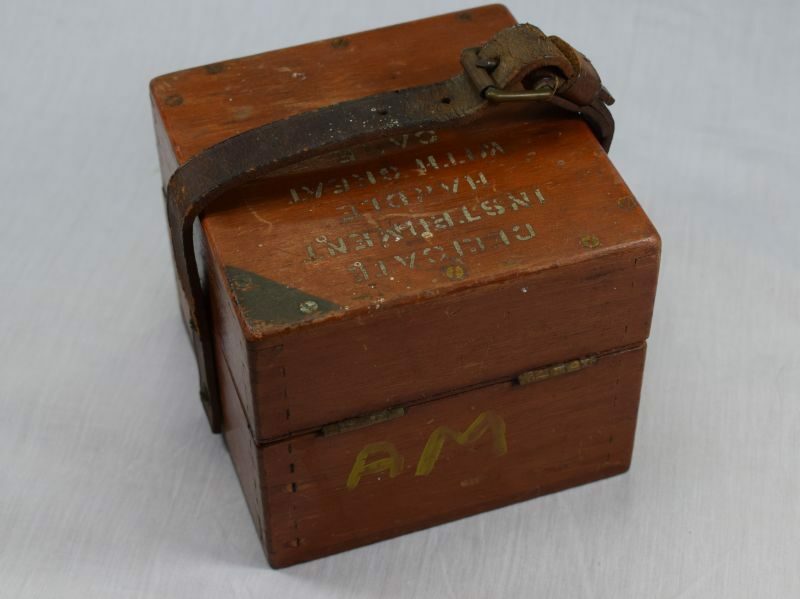 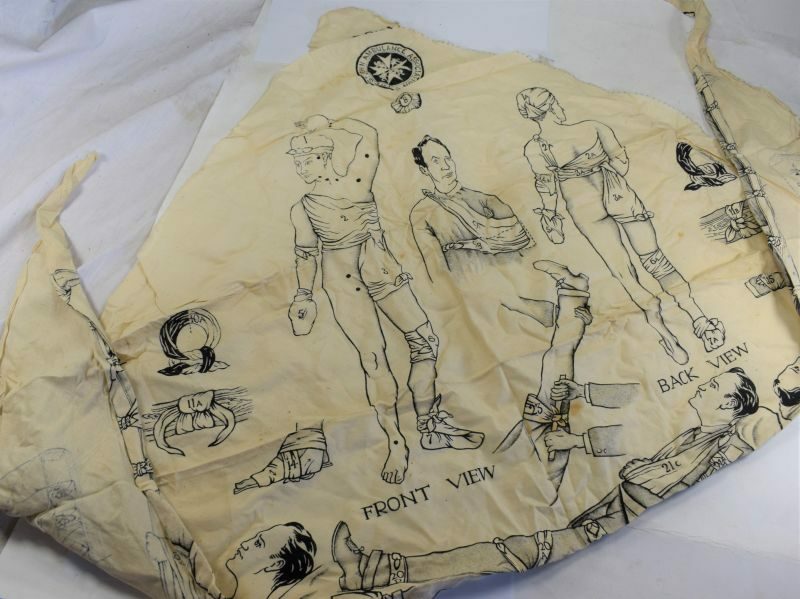 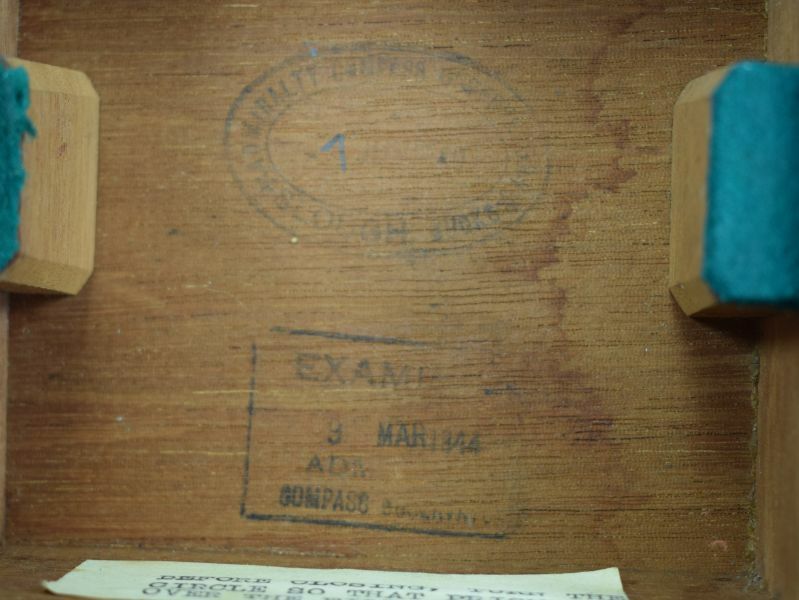 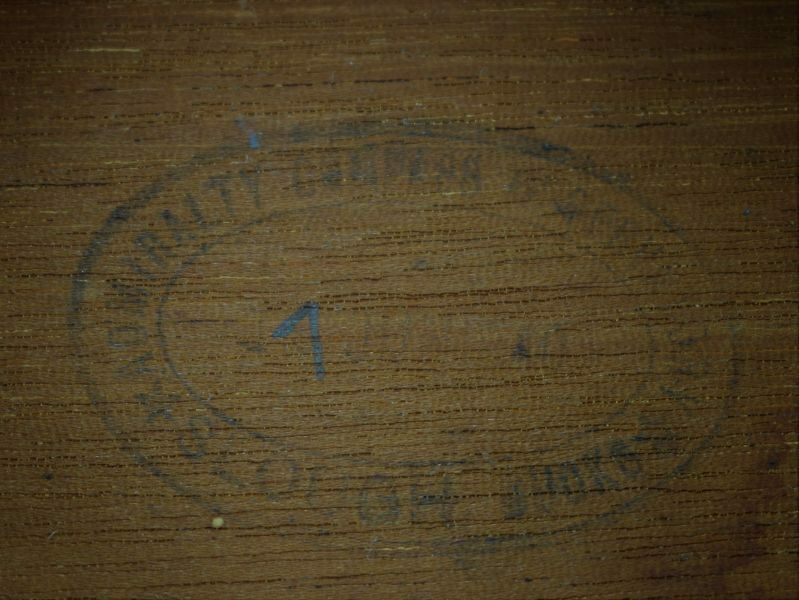 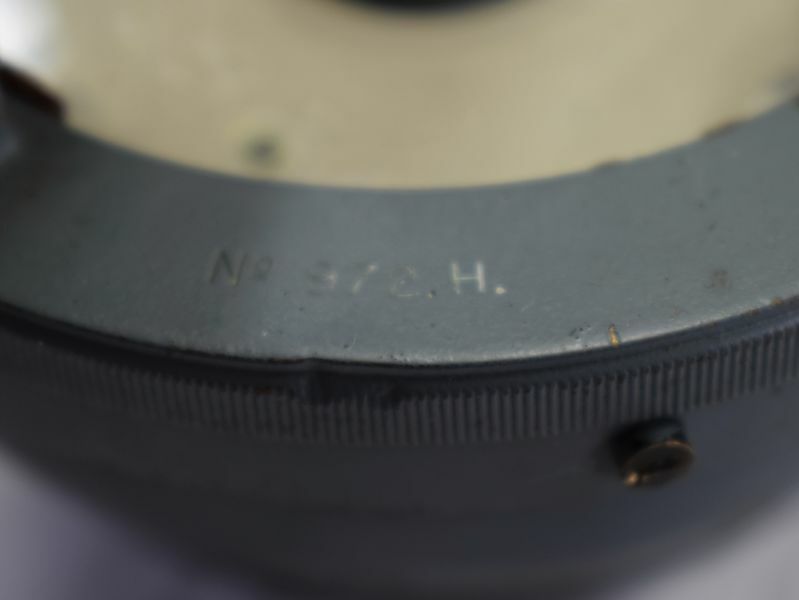 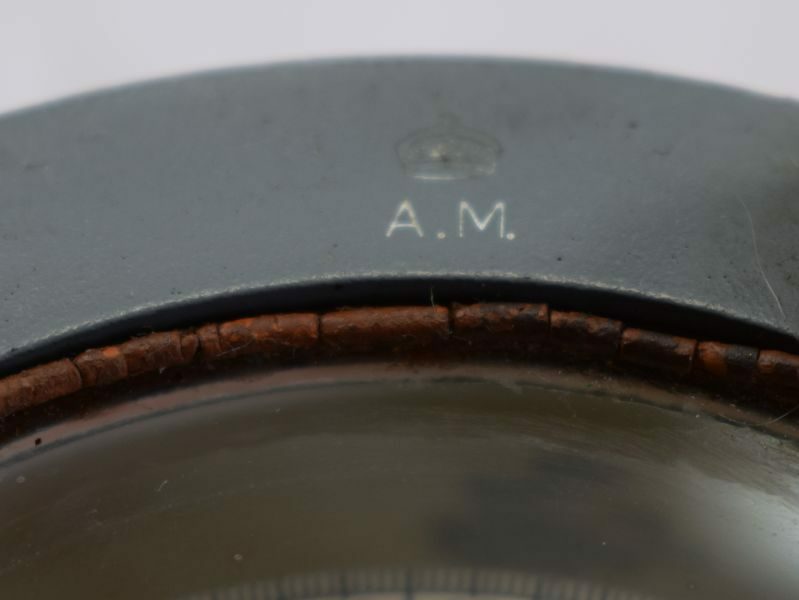 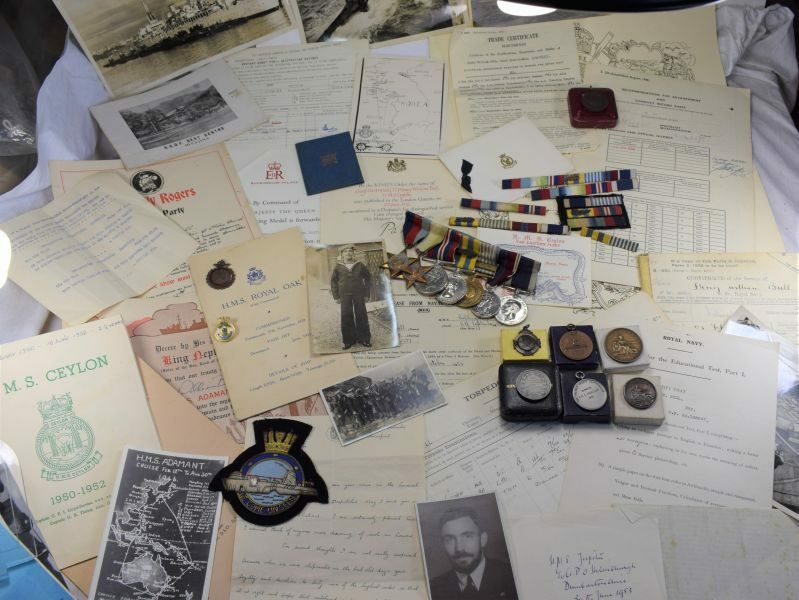 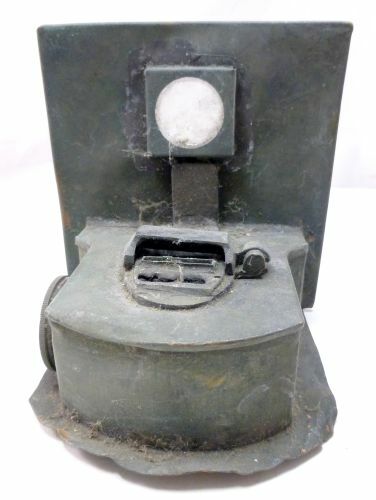 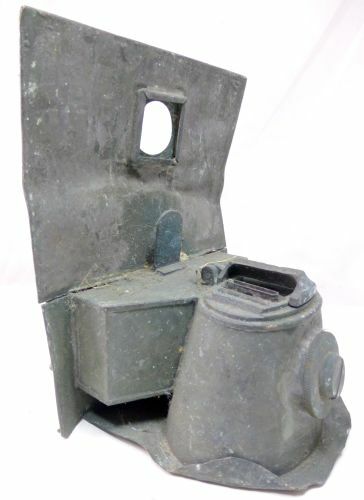 The inside lid of the box has 2 inspection marks, the first date is hard to see but under the camera shows as 1940, the 2nd date is clearly 1944. 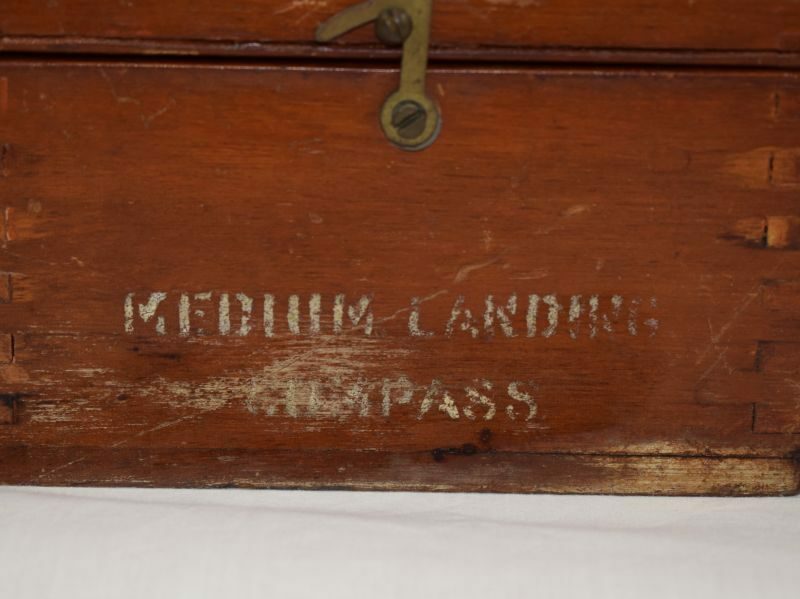 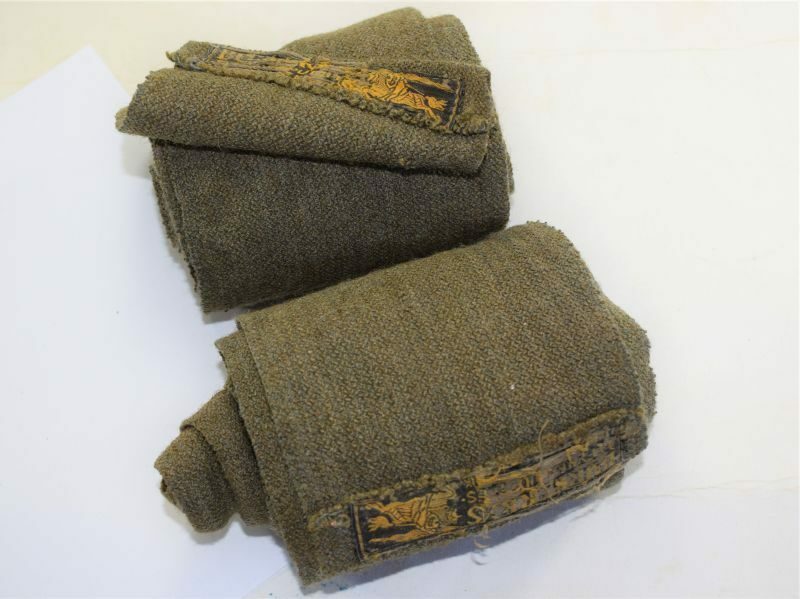 The box is pretty small and measures 5 inches square X 4 ½ inches tall.